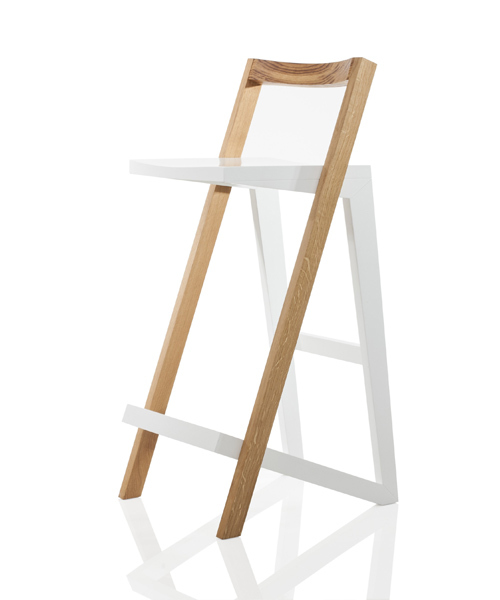 Styx, a barstool suitable for both private and public use, made in solid oak or beech wood, depending on a version. 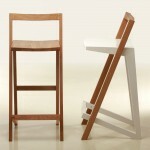 Its durable construction is characterized by two separate interlocked elements. 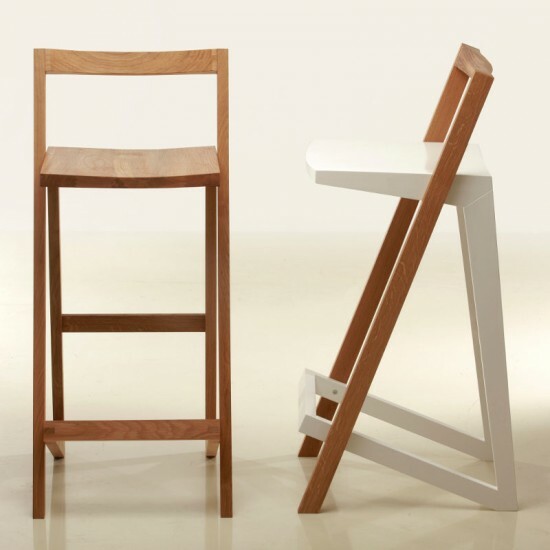 Styx takes it’s aesthetics from a traditional domestic kitchen chair but re-interprets the function allowing it to cross domestic boundaries to public spaces, yet giving it a well known familiar feel. 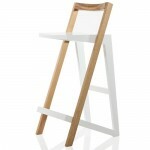 Despite its changed proportions compared to a classical dining chair, it still remains fully comfortable and functional.